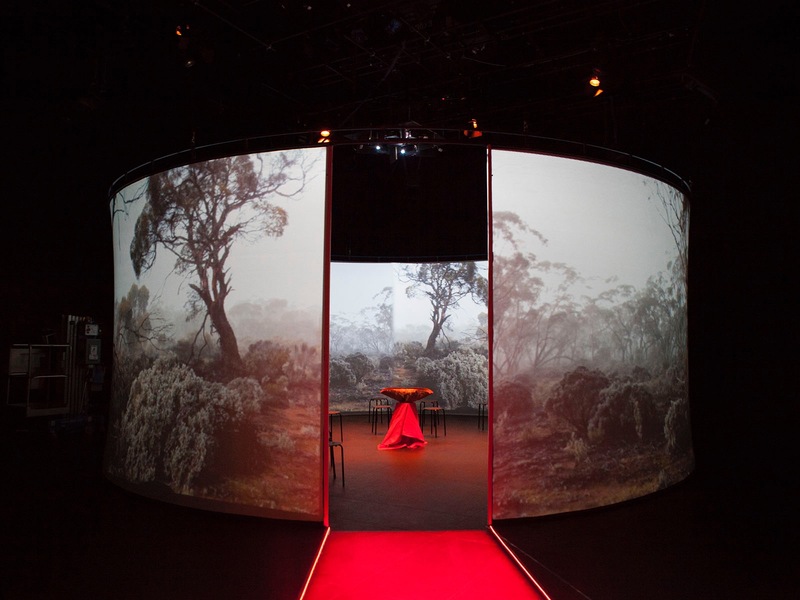 Immersive 360° video, installation view, The Block QUT. Three residencies of $11,250 each have been awarded through the Artist or Curator Residency (ACR) Program for 2016. Two curators have been supported to undertake residencies and the third grant will support a residency involving a collaboration by two artists. This year the program supported curators and artists to undertake residencies with regional galleries across the country investigating such diverse subjects as nuclear war, intercultural mapping and decoding contemporary art for audiences. In different ways the projects exemplify the ideals behind the residency: to give artists and curators opportunity and time to incubate ideas, develop new work, and to contribute to the host gallery’s education and public programs. Emerging photomedia artist Jessie Boylan will collaborate with established digital artist Linda Dement during a two-week residency at the Gallery. The artists will develop a new responsive installation work titled 15,695, referencing the number of nuclear weapons now held globally, for an upcoming major touring exhibition Black Mist Burnt Country. Their project continues both artists’ work with atomic survivor communities in Australia and overseas. Curator Sven Mehzoud, Senior Lecturer at Monash Art, Design and Architecture at Monash University, will undertake a residency in early 2016 to design, curate and implement an exhibition of artworks that have been produced through an inter-cultural exchange and partnership with Culpra Milli Aboriginal Corporation (CMAC), a local Indigenous community group, in Mildura Arts Centre Regional Gallery and Rio Vista Historic House as part of the gallery’s 60th anniversary program. The Constructed Geography project seeks to develop and implement curatorial and participatory exhibition design strategies based on inter-cultural mappings of country (North-West Victoria and South-West NSW). Dr Jane Deeth will undertake an eight-month residency in 2016 to research an exhibtion which aims to ‘decode’ contemporary art for local audiences. Deeth’s curatorial practice challenges the audience to engage with art in new ways, and in this project she will work with the local community in developing tools to increase appreciation of discursive and ideas-based forms of contemporary art practice by a wide range of artists including some local Tasmanians. The Artist or Curator Residency program is supported by the Copyright Agency’s Cultural Fund and is managed by Museums & Galleries of NSW.